If charged with an Ontario DUI Criminal Offence, you MUST make an early decision on whether to accept and be sentenced pursuant to “Stream A” or set the matter for trial! Charged with an Ontario DUI Criminal Offence such as: impaired driving, over 80 or refusal to provide a breath sample? The Ontario Ministry of Transportation defines the term “impaired driving” as “driving while your ability is affected by alcohol, drugs, or both. ” Impaired driving is a crime under the Criminal Code of Canada and, if convicted, you will lose your licence, be fined or spend time in jail. Your vehicle does not have to be moving for you to be charged with impaired driving. If you are impaired behind the wheel of your car, even if you have not actually started to drive, you can be charged. Be aware that you can also be charged with impaired driving when you are thought to be impaired while in the driver’s seat of a boat, snow mobile, motorcycle or an all-terrain vehicle – essentially any motorized vehicle or any vessel. The first and most important step for you is and retaining us as your legal representatives. After this we will obtain and review your disclosure. In most cases we are required to meet with the Crown to discuss possible resolutions. We will then provide you with a letter explaining to you the likelihood of success in your case, the costs and consequences of your case, and then discuss whether a final meeting to discuss your options is necessary. You will then make a decision as to what is right for you and we will go to Court together to let the Court know your decision. Hiring the most efficient Ontario DUI Criminal Defence lawyer, experienced in drinking and driving cases, is the smartest approach you can possibly take in avoiding an impaired driving conviction. Help the criminal barrister representing you by giving him or her the time needed to do the best job possible in preparing your case and later, if necessary, in defending you in criminal court. Your lawyer needs sufficient time to find and interview witnesses whose testimony might help win your case. The earlier witnesses are interviewed, the more detailed their recollection of events will be. 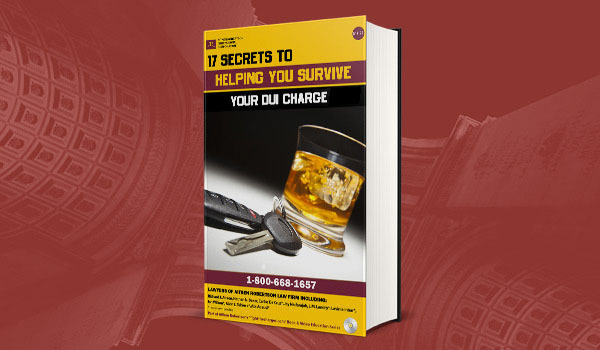 Information obtained through the witness interview process could play a deciding factor in whether you are successful in fighting your impaired driving charges. Given enough time your lawyer may even be able to find ways to avoid court altogether and have your DUI charges dropped. Before you plead guilty to your Ontario DUI criminal offence, there are a few things you must realize. 1. You need to understand that you have a right to a trial to force the Crown to prove its case beyond a reasonable doubt. By pleading guilty you are giving up that right. 2. You need to understand that by entering a plea of guilty you are admitting that the facts alleged against you are substantially correct. 4. The judge will listen to what we have to say about sentencing, as well as what the Crown suggests. Judges will usually follow joint submissions (i.e., some sort of plea bargain we have agreed upon with the Crown), but the final decision as to sentence is always up to the Judge.